Indian Prime Minister Narendra Modi’s Office yesterday said President Maithripala Sirisena had, in a telephone conversation with the Indian leader, denied media reports that he alluded to Indian involvement in an alleged plot to assassinate him. “The President of Sri Lanka Maithripala Sirisena called Prime Minister Modi on telephone today. “The President of Sri Lanka stated that he categorically rejected the reports in sections of media about him alluding to the involvement of India in any manner whatsoever in an alleged plot to assassinate the President and a former Defence Secretary of Sri Lanka. “He mentioned that the michevous and malafide reports were utterly baseless and false, and seemed intended to create misunderstanding between the two leaders as well as damage the cordial relations between the two friendly neighbours. he also recalled his meeting with the High Commissioner of India to Sri Lanka today morning. “The President also stated that he regards the Prime Minister as a true friend of Sri Lanka, as also a close personal friend. 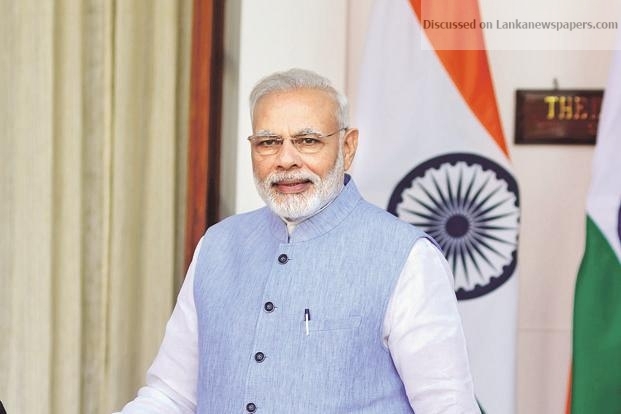 He stressed that he greatly valued the mutually beneficial ties between India and Sri Lanka, and remained steadfast to work with the Prime Minister for futher strengtheing them.